Industrial Identification Tags and Supplies | Ketchum Mfg. Co.
Ketchum's industrial tags include steel valve tags and aluminum cable ties to help you positively identify your pipes and valves. Use custom engraved cable ties for cable management and identification. 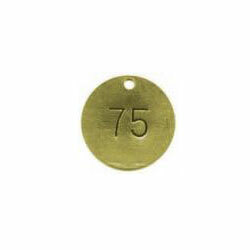 Valve tags are also available in brass. 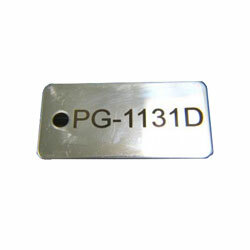 Purchase these industrial tags in sets of 25 with consecutively numbered tags. Factories, stores, office buildings, and other commercial structures resemble in many ways a living human body, water and steam pipes are the circulatory system, while computer cables and phone lines, along with electric wiring, are the nervous system. The key to keeping the human body healthy is good nutrition and regular exercise, whereas the key to maintaining the health of a building is exceptional organization of the pipes and wires that make it function. Industrial tags from Ketchum Mfg. Co. will help you do just that. Even a small building may contain hundreds of miles of ducts, pipes, and wiring, not to mention the countless valves, junction boxes, and other devices used to control the flow of fluid and electricity throughout the building. Clearly labeling them all with easy-to-distinguish industrial tags is not just a convenience, but a necessity. 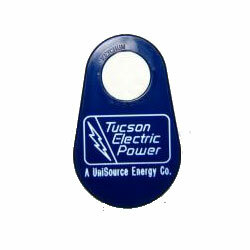 If you need to relay more specific identifying information about your building's conduits and controls (such as a logo, special symbol, or descriptive text), we also offer custom laser-engraving [link to engraving page] on our metal commercial tags. 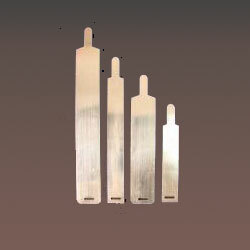 Best of all, these high-quality industrial tags are manufactured right here in the U.S.A.